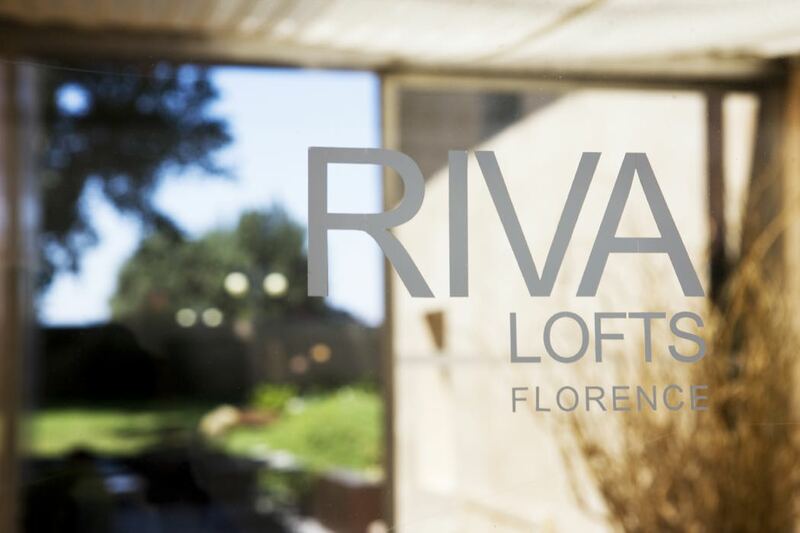 Riva Lofts have been sympathetically renovated from a historic mill on Florence’s Arno river. Top Italian architect, Claudio Nardi (who also creates flagship stores for Dolce & Gabbana), has transformed the space into 10 super modern and chic studios with a superb garden and pool. Alice, Claudio’s lovely daughter who runs the hotel together with their reception staff, will welcome you with bundles of Italian hospitality along with advice on navigating the city, local restaurants and the latest art exhibitions in the area. Riva Lofts is a chic boutique hotel filled with contemporary artworks, antique furnishings and massive mirrors leant against exposed stone walls. Each room at Riva Lofts is different. 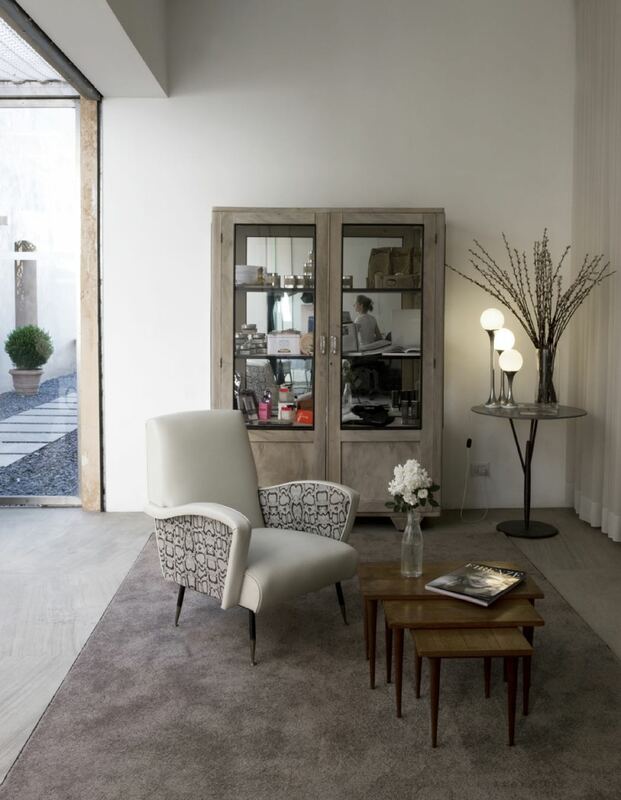 All offer a mix of antique furnishings and embrace the original stucture of the mill. The chic finish given by the polished concrete floors, muted colours and modern fireplaces give the feel of a highly styled luxury hotel. Room 4 is the largest room in the hotel with floor-to-ceiling glass windows overlooking the river. 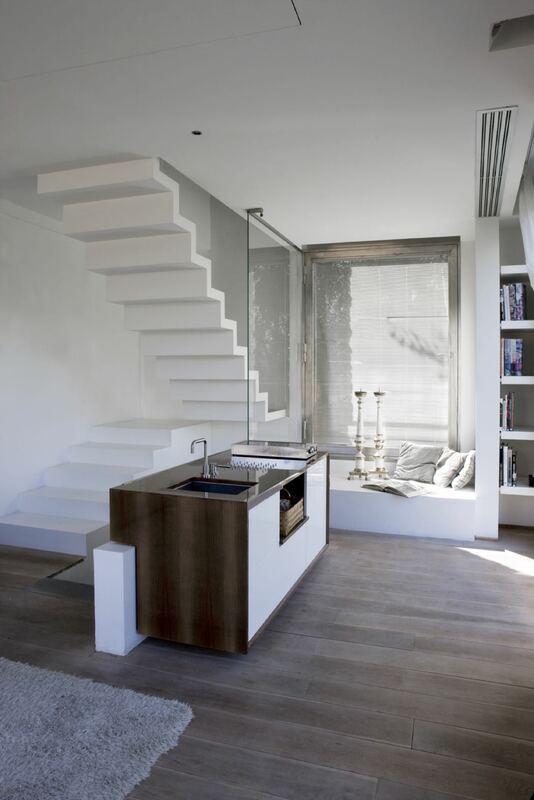 It includes a smart kitchen and cool over-sized ball lamps. Room 7 has a unique string curtain around the bed which gives the effect of a modern four poster. This is probably the most romantic of the rooms. The white sandstone pool is partially shaded by nearby trees and is surrounded by a decent sized lawn. Here you can swing the day away in a hammock or laze on the loungers. Riva Lofts offers a superb Italian breakfast which includes a large choice of breads, croissants, yoghurt, and muesli, served either outside by the pool or in the lounge. In the evening there are plenty of restaurants nearby or you can fix something up in the kitchen in your suite. The bar is also the daytime lounge area. 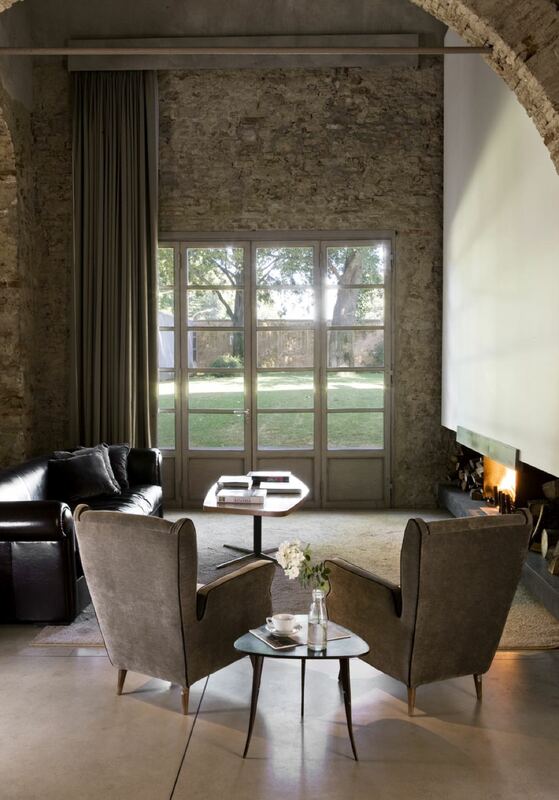 A stunning space with stone walls, amazing art everywhere and a striking modern fireplace. Sink into a sofa and sip a cocktail from the self-service honesty bar. Here you can also watch the LCD TV, or play a DVD from the library of films. 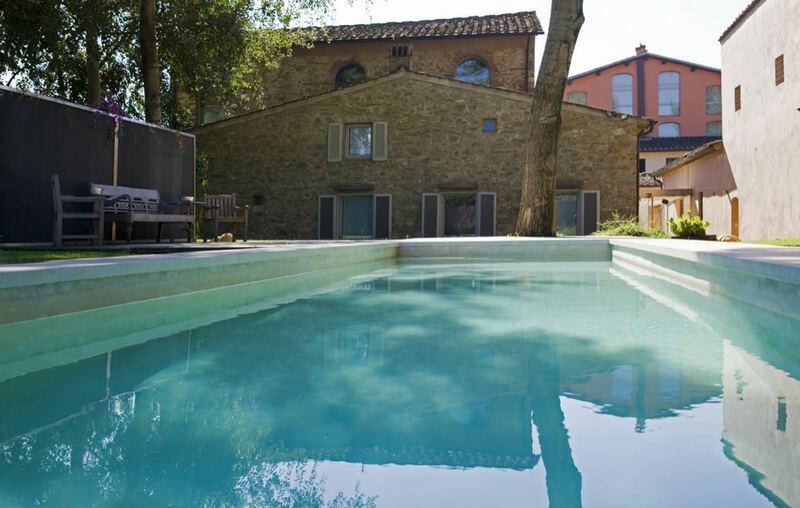 This lush and green retreat is 30 minutes’ riverside walk from the bustle of central Florence but trams make this city easy to navigate on foot. 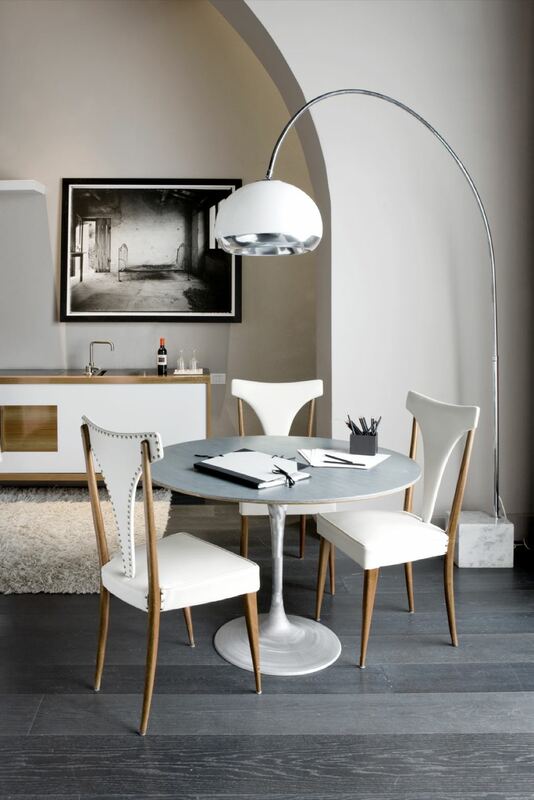 Riva Lofts is just 500m from the nearest tram stop, and 5 stops from the central station. You can also hire one of the hotel’s vintage bicycles for free and cycle into the centre. 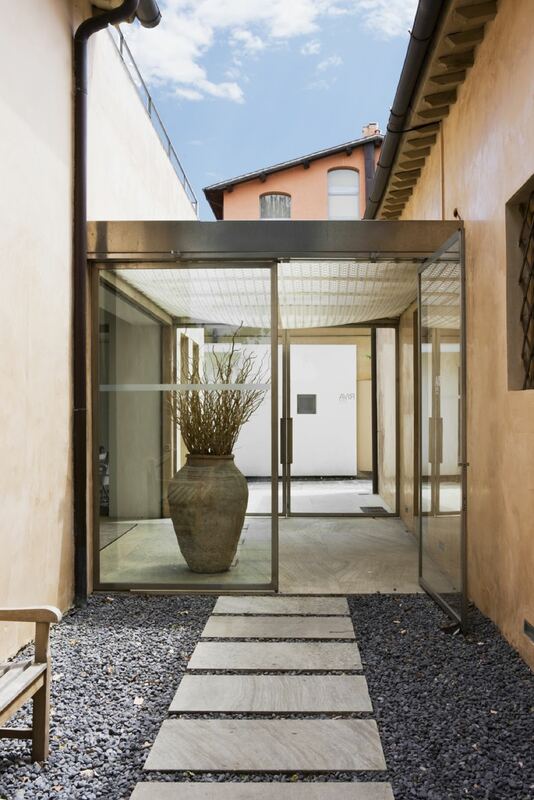 Riva Lofts is 15 minutes by taxi from the two Florence airports (Amerigo Vespucci and Peretola). If you are flying from the UK there are more flight options if you fly into Pisa (Galileo Galilei) Airport. There’s a direct train from Pisa Airport to Santa Maria Novella train station in the centre of Florence, which is around a 10€ taxi drive to Riva Lofts.